An expert criminal defense lawyer with over 40 years experience in state and federal courts. Start working with a seasoned expert today! Considering the potentially life altering consequences of facing California criminal charges, it is essential that you select the best criminal defense attorney in San Diego to represent you. Marc B. Geller provides the highest quality criminal defense representation in San Diego since 1973. His courtroom experience, legal expertise, personal skill, and charisma are unmatched in the field of criminal defense. When you are faced with criminal charges in San Diego, it is important to ask yourself how much difference can an experienced California criminal defense attorney do for you? Considering the potentially devastating consequences of a criminal conviction, choosing the right criminal defense attorney might prove to be your most valuable decision. Mr. Geller will conveniently schedule a same day appointment to discuss your case at no cost or obligation to you. Contact Mr. Geller today online or by telephone at (619) 239-9456 to speak with an experienced San Diego criminal defense attorney. Mr. Geller takes great pride in working closely and confidentially with his clients to resolve their legal problems as quickly and painlessly as possible. He strongly believes in keeping the client fully informed so that they can see how their rights are being protected and their interests served by his representation. 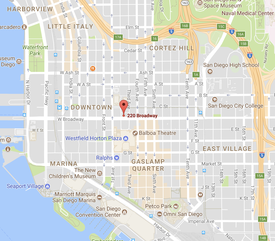 Attorney serving San Diego, Chula Vista, Pacific Beach, Ocean Beach, Del Mar, La Jolla, Mission Valley, El Cajon, La Mesa, Vista, Escondido, Carlsbad, Encinitas, Oceanside, University Town Center, University City, Bonita, National City, Eastlake, San Marcos, Carmel Valley, Santee, Lakeside, Spring Valley, Ramona, Lemon Grove, Coronado, Imperial Beach, San Ysidro, Solana Beach, Poway, Riverside, Temecula, Fallbrook, Murrieta, San Diego County, and Orange County, California.